Replace your Ovalie 430 trampoline textile safety net. 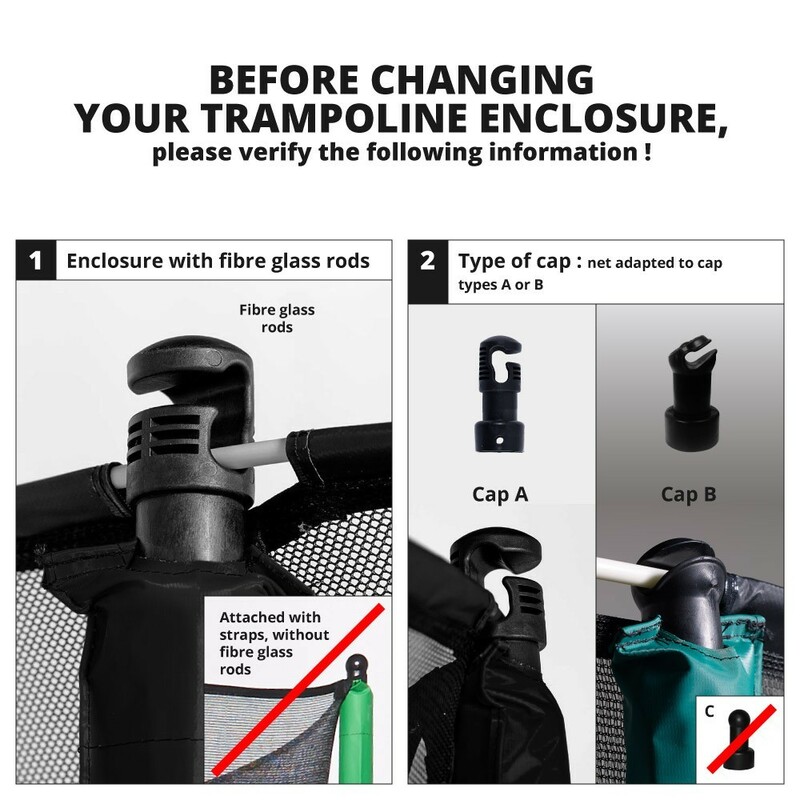 If the safety enclosure of your oval trampoline is starting to show signs of age, we recommend that you change it to maintain maximal safety conditions for its users. This spare part allows you to replace only the safety net. 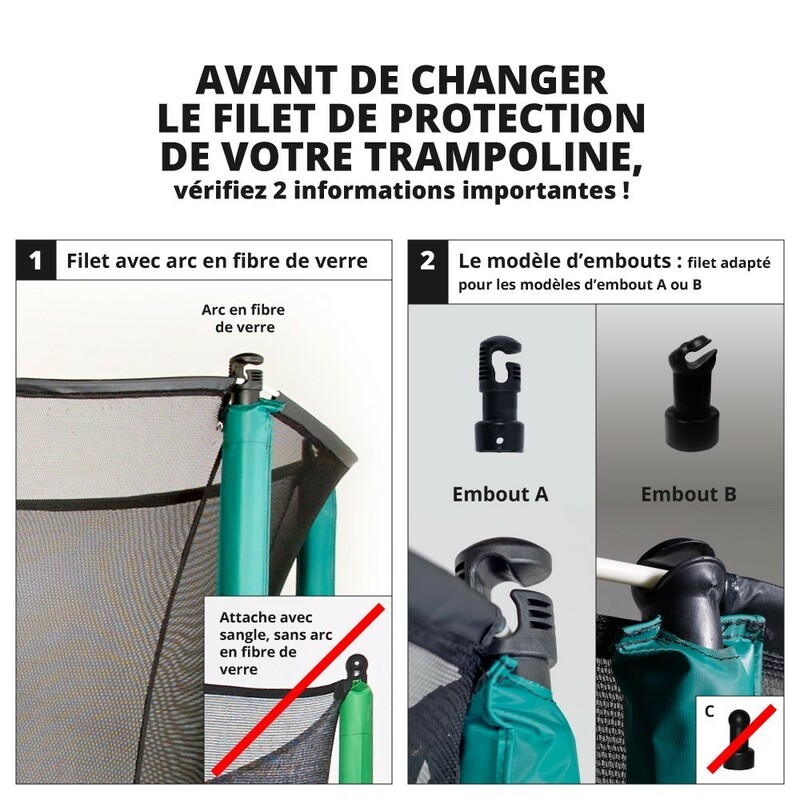 - This net is designed for the France Trampoline Ovalie 430 trampoline but may be compatible with another brand if it has the same technical characteristics. It must measure 4.20 m x 2.44 m, have 4 W-shaped legs, and 8 net posts measuring 38 mm in diameter. The net posts must be equipped with fixations at the top capable of holding up fiberglass rods. 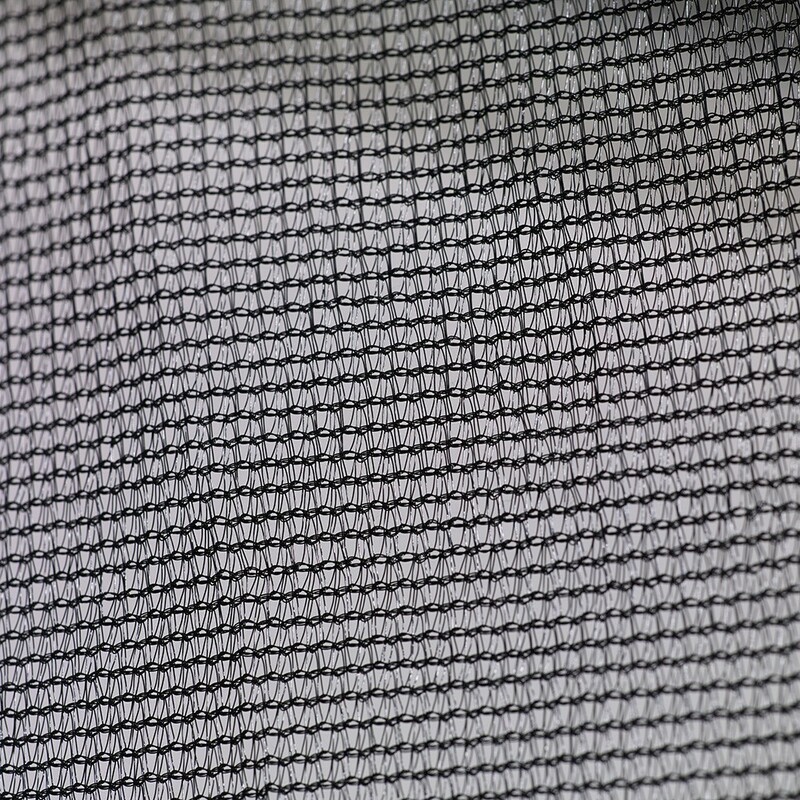 - This textile net is made of polyester, which is known for its durability and softness. The mesh is tightly-braided to prevent small children from getting their fingers caught in it. This material guarantees you a robust, UV-resistant net. 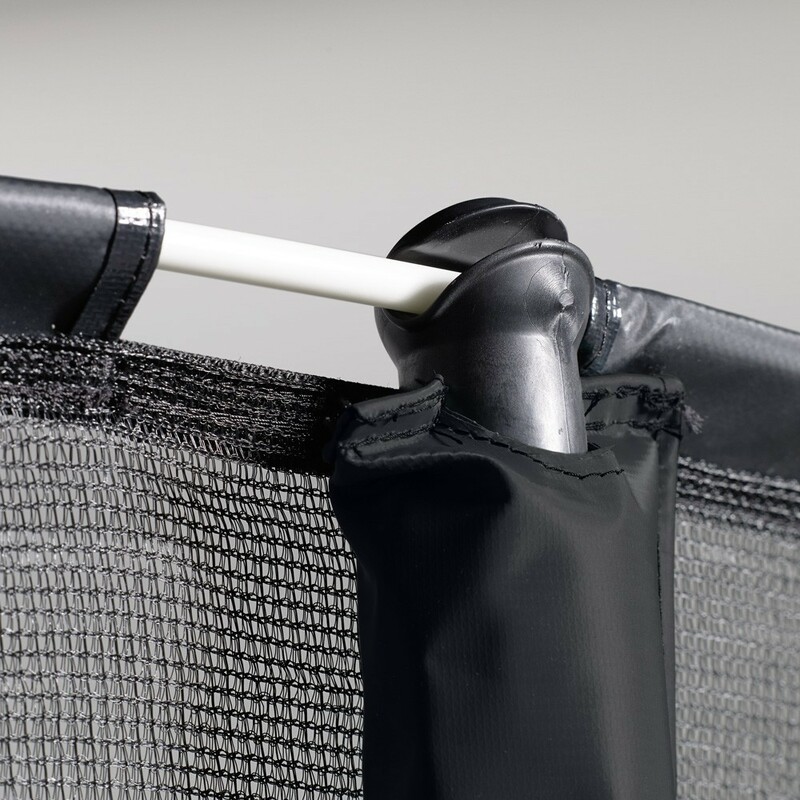 - This safety net has a two-panel opening, which opens and closes with a large velcro strip and clip hooks. - The net is secured to the tops of the net posts with fiberglass rods that allow you to properly tension the net. 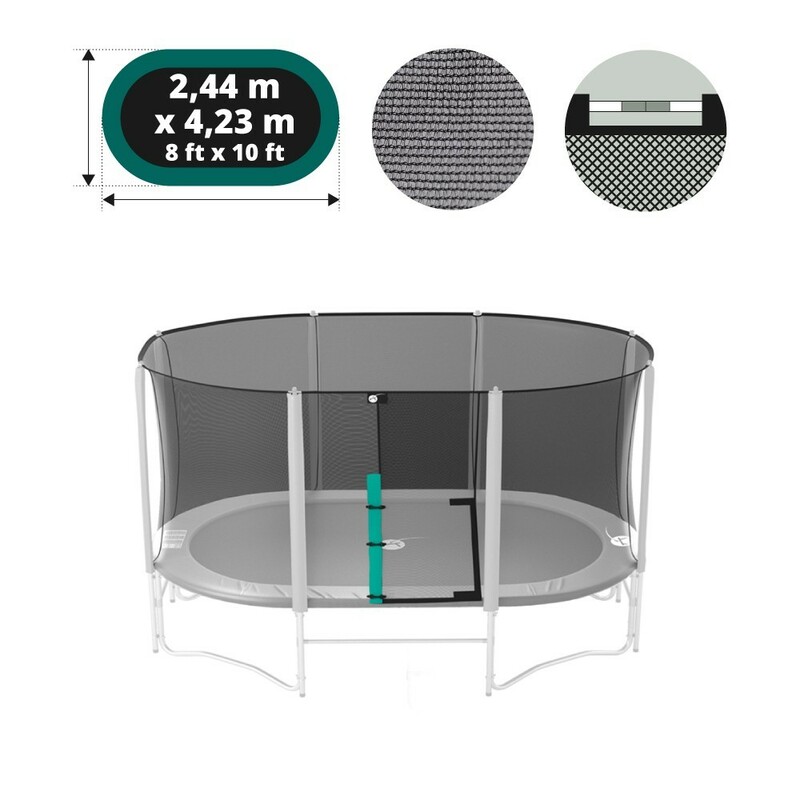 The bottom of the net is attached underneath the trampoline with elastic cords equipped with hooks that are placed on the rings of thejumping mat. 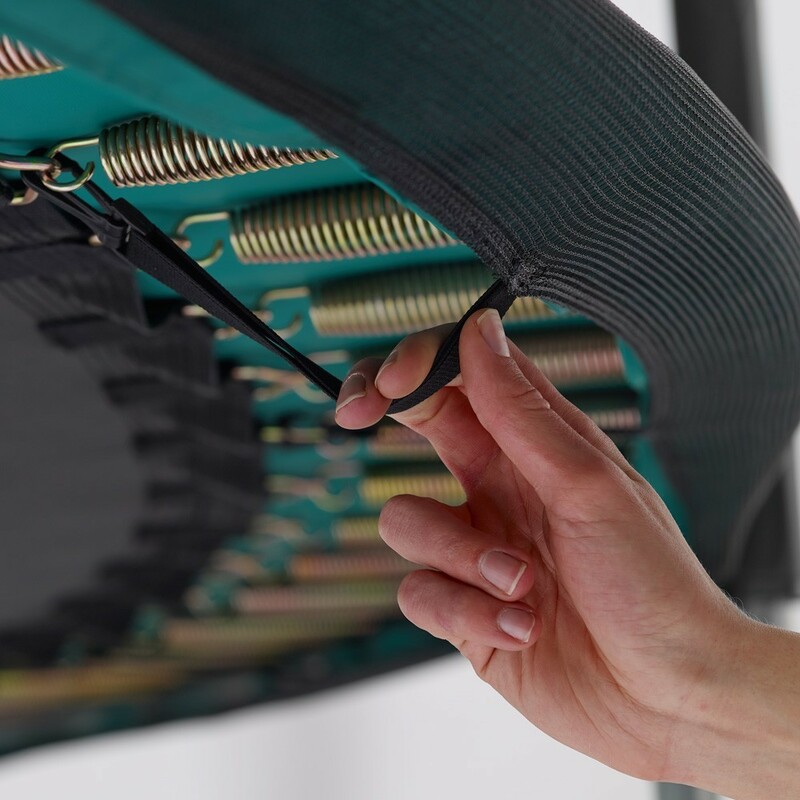 This safety net is sold separately: the fiberglass rods, sleeves, and fixations are not sold with this trampoline spare part.